When you're in the market for a high-quality used Ram truck or van, come check out the selection of Rockie Williams' Premier Dodge Chrysler Jeep Ram. Our goal is to be the best used Ram dealership near Nashville, Tennessee, and we do it through our commitment to customer service and wide selection of Ram 1500, Ram 2500, and Ram 3500 trucks and Ram ProMaster vans. Browse our used Ram truck inventory to find the right vehicle for you, or give our sales team a call and we'll be happy to talk you through your options. Find a used Ram model at your local Nashville, TN Ram dealership. If you've ever been to Rockie Williams' Premier Dodge Chrysler Jeep Ram, your used Ram dealership near Nashville, TN, you know that our people are what set our business apart. Our sales associates know Ram trucks and vans inside and out, as do the team of expert Ram mechanics in our service center. While our team understands everything there is to know about Ram models, we also offer something special: an upfront pricing policy that allows you to skip the hassle. 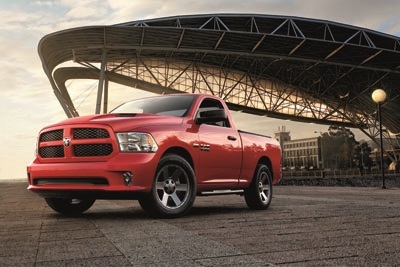 We offer one low price, so you can expect a no-haggle price on all our pre-owned Ram vehicles. Make an appointment for a test drive or schedule service on your Ram truck or van!